WF told me there were some good snakes in The Reptile Shop in Morecambe. That might be true but the Excellent Lesbian and I managed to go to two former reptile shops and failed utterly to find any snakes in Morecambe. We went up to Williamson Park and took in the chameleon and mini beasts instead. Also the meerkats, I love meerkats. 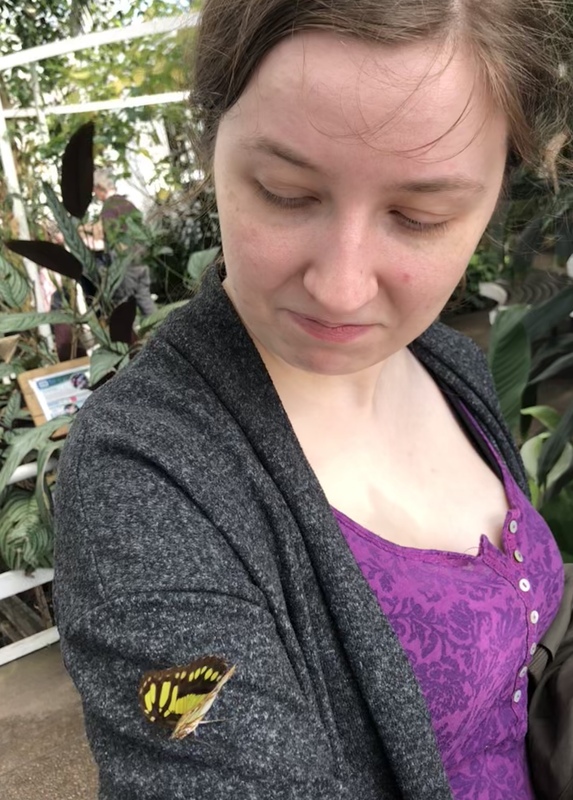 She turned into a Disney Princess in the butterfly house though. The we went to the Lancaster Reptile Shop which was much easier to find. This entry was posted in Reptiles and tagged butterflies, Excellent Lesbian, life, meerkats, reptiles, snake, snakes, snek, Williamson Park. Bookmark the permalink.